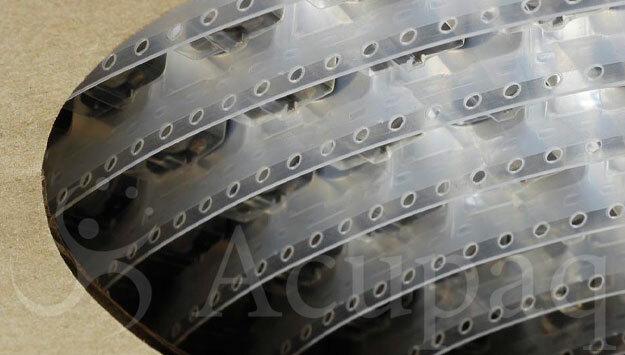 Acupaq products are used to automate and protect a wide variety of components in the product life cycle, from bare die to final box build. We offer a broad range of precision component packaging systems including embossed carrier tapes, anti-static cover tapes, shipping reels and static shielding / moisture barrier bags. We complete the product line by providing desiccants, humidity indicator cards and other packaging products.